The global cardiac monitoring and cardiac rhythm management devices market is driven by growing incidences of cardiovascular diseases and growing private institutional home care and nursing. The technological advancements in the medical sector have helped develop innovative products and this is furthering the growth of the cardiac monitoring and cardiac rhythm management devices market. The rising treatment costs of cardiac diseases are also one of the factors fueling the demand for these devices. In addition to this, the increasing demand for ambulatory and home services, introduction of MRI pacemakers and favorable reimbursement policies across nations are slated to drive the growth prospects of this market. The report also takes into consideration factors that challenge the growth of the global cardiac monitoring and cardiac rhythm management devices market. One of the factors which is negatively impacting this market is the lack of skilled healthcare professionals who possess expertise in cardiac monitoring and electrocardiography. Limited reimbursements for remote cardiac monitoring devices are also restricting the growth of the market across the globe. The cardiac monitoring and cardiac rhythm management market is categorized broadly into conventional monitoring devices and cardiac rhythm management devices. Holter monitors, event monitors, implantable loop recorder, ECG and cardiac monitors are some of the monitoring devices. Some of the cardiac rhythm management devices available are pacemakers, defibrillators, and cardiac resynchronization devices. The demand for ECG is expected to remain high in the market in the coming years. 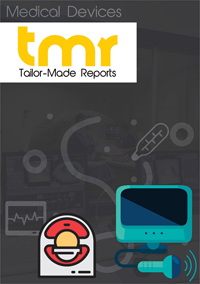 In recent times, the global cardiac monitoring and cardiac rhythm management devices market has exhibited a phenomenal growth rate. Rapid technological advancements and the advent of innovative products such as MRI pacemakers, durable batteries, and biocompatible materials are providing a significant boost to the market. Cardiac monitoring and cardiac rhythm management devices are primarily used in hospitals, home, and ambulatory care. Manufacturers are focusing towards developing compact versions of these devices, which is likely to revolutionize the market in the near future. The report is a professional study on the global cardiac monitoring and cardiac rhythm management devices market, compiled by meticulously analyzing various critical parameters of the market. It provides a detailed overview of the factors impacting the growth of the market. It offers qualitative and quantitative insights into the competitive landscape of the market. Competitive profiling of the prominent players in the market along with their market shares, business strategies, cost and revenue structures, latest developments, and contact information forms a vital part of the report. It performs SWOT analysis to reveal potential growth trajectory of each prominent player in the global cardiac monitoring and cardiac rhythm management devices market. The growing occurrence of cardiovascular disorders is the foremost factor driving the uptake of cardiac monitoring and cardiac rhythm management devices. The changing lifestyles and rapidly growing geriatric population are among the key factors leading to the increasing incidence of such diseases. Moreover, the rising awareness regarding the availability of sophisticated treatment options coupled with increasing use of home and ambulatory services is providing a thrust to the market. Conducive regulatory environment is also working in favor of the growth of the market. On the other hand, the lack of healthcare professionals with expertise in cardiac and electrocardiography monitoring is restricting the market from realizing its utmost potential. Furthermore, the high cost of cardiac monitoring and cardiac rhythm management devices is hampering their widespread adoption. This is further compounded by the absence of favorable reimbursement policies for remote cardiac monitoring devices. On the basis of geography, the key segments analyzed in the report are Asia Pacific, Europe, North America, and Rest of the World. North America and Europe are expected to account for a large cumulative share in the market throughout the forecast period. The presence of advanced healthcare infrastructure and growing prevalence of cardiovascular diseases are escalating the growth of the market in the region. Rapid technological advancements, high patient awareness regarding the accessibility of treatment options, and rising geriatric population are also propelling the growth of the region. Asia Pacific is likely to show tremendous growth in the forthcoming years, thanks to improving healthcare infrastructure along with the rising consumer expenditure on healthcare. The increasing investments by large, international players in the healthcare facilities are supplementing the growth of the region. Moreover, the growing popularity of remote cardiac monitoring devices is fuelling the growth of the region. Players are increasingly adopting mergers and acquisitions as their key growth strategy to strengthen their position in the global cardiac monitoring and cardiac rhythm management devices market. Some of the prominent players in the market are St. Jude Medical Inc., Boston Scientific Corporation, Medtronic PLC, GE Healthcare, Philips Healthcare, Welch Allyn, Ecardio Diagnostics, Mortara Instruments, Nihon Kohden Corporation, and Life Watch.